Natasa Paulberg is a Dublin based composer and performer. She has a M.Phil in Music and Media Technologies as well as a PhD in Composition and Music Technology from Trinity College, Dublin. Trained in piano, cello and voice, Natasa was project manager of the Irish Composers’ Collective and the 2012 Ad Astra Composition Competition winner held by the Contemporary Music Centre in Ireland. Her compositional work include pieces for various ensembles including orchestral, choral, brass quintet and the use of electroacoustic elements with concert performances at The National Concert Hall, Samuel Beckett Theater, Cake Contemporary Centre and Centre for Creative Practices as well as Los Angeles studio recordings. 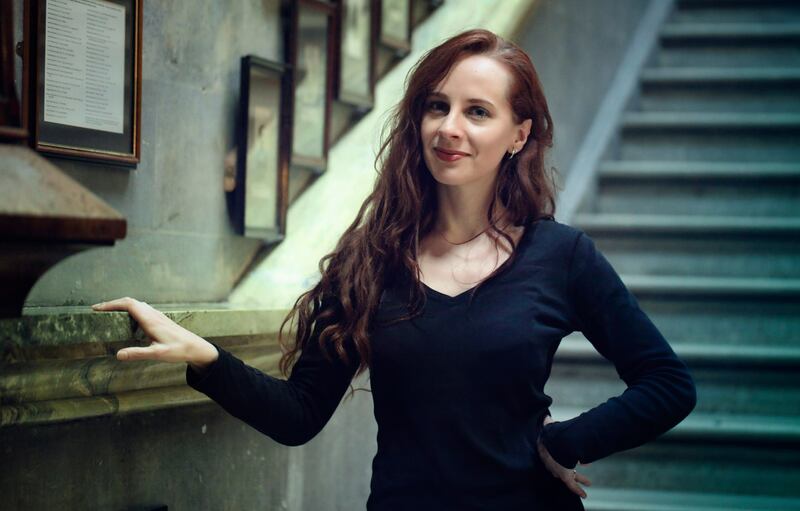 She is the lead composer for the Haunted Planet Studios gaming company and was the 2012 – 2013 recipient of the Fulbright-Enterprise Ireland scholarship. Natasa attended UCLA’s renowned Film Scoring program in Los Angeles and during that time worked on projects with Hollywood composers Garry Schyman (BioShock, Dante’s Inferno) and Christopher Young (Spiderman 3, Drag Me to Hell). She is often in LA for work.